Embroidery is such a vast art. Its beauty has got no ends. Embroidery when done on fabric-not matter of what kind- enhances the appeal and charm of the garment and takes it to a whole new level. Almost every person is familiar with the term “embroidery patterns“. Embroidery patterns are so common that they are seen on almost every second thing we use including house wares, garments, scarves, accessories and so much more. Embroidery patterns are seen on hems of jackets, sidelines of sweaters and shirts, neckline of dresses and shirts, trousers, borders of tablecloths, sidelines of napkins and shoes. These Patterns may or may not be simple but they never fail to make your project look pretty awesome and gorgeous! Embroidery patterns when done on the scarves make them extremely trendy and classy at the same time. Have some rose pattern on your scarf and wrap it around your neck to look classy and fabulous! Emb patterns are quite easy to do. They are said to be “beginner’s deal” but they can surely make your garment look bad if not done with great care. Embroidery patterns are something the artists suggest beginners to begin with because these patterns are actually back bone of many kinds of embroidery. Many beautiful types of embroidery rely on embroidered patterns. These patterns may be geometrical or flowery. 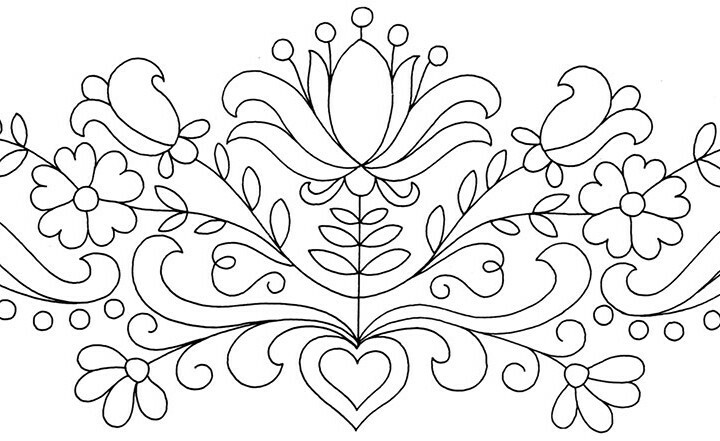 Just about any design when covered in embroidery patterns look ten times prettier than before. Now a days, embroidery patterns are not only used to embellish wearable garments, but also on house wares such as table cloths and napkins Now a days, embroidery patterns are not only used to embellish wearable garments, but also on housewares such as table clothes and napkins. If you are a lover of embroidery- especially if you are not a professional embroiderer. Emb patterns can make your garments look way too pretty that you might just want to frame and hang them, just kidding! And in case of professional embroiderers, it can help you gain great count of customers! Nowadays, embroidery patterns are not only used to embellish wearable garments but also on housewares and many other things! Get their embroidery designs done from us for perfection! And with the fastest turnaround and with reasonable rates!